Add $1.50 shipping for this item. Amaranthine (pronounced: ama RAN theen): the name means undying, immortal, eternally beautiful. Some of these “Forever Flowers” from my new book include 8 new flowers that will never fade and several different leaf treatments. 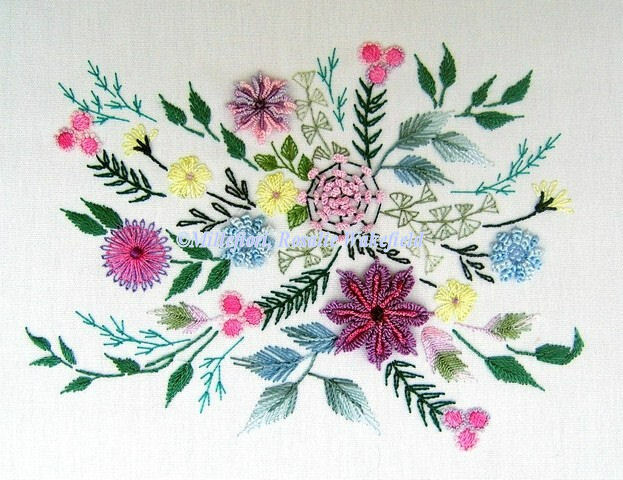 Stitch the beautiful coneflower, zinnias, collarette dahlias, fairy candles, tassel flower (amaranthus), weigela, foxtail lily, and sprinkle a few doney balls around. Many stitches are familiar but new dimensional techniques have been used in different ways to delight and entertain “endlessly”. Add $1.50 shipping with this item. Look closely at the tiny fairy flowers of London Pride Saxifraga x Urbium and you’ll see a stunningly beautiful flower that grows as a groundcover with a mass of pale pink rosettes. 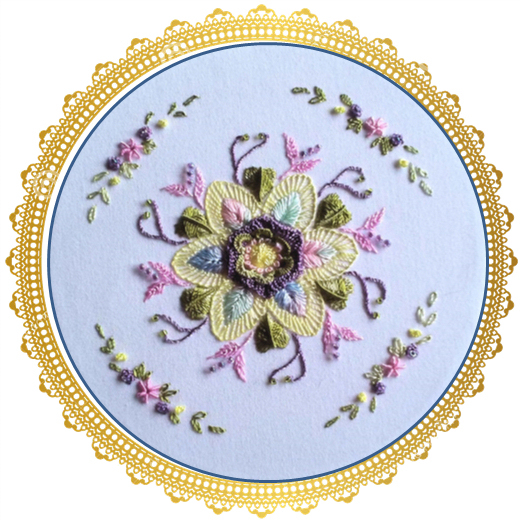 This delicate little design can be stitched on a crazy quilt, wearable item, tote bag or framed and mounted on a CD. London Pride (saxifraga urbium) is a small pink flower which grew on bomb sites during World War II. During the Blitz, Noel Coward honored it with a defiant song on behalf of all Londoners. The Latin word saxifraga means literally "stone-breaker", from Latin saxum ("rock" or "stone") + frangere ("to break"). It is actually thought to indicate a medicinal use for treatment of kidney stones, rather than breaking rocks apart! 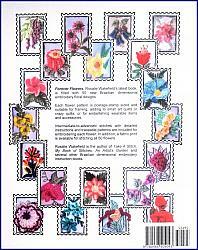 Since my first book, "My Stamp Collection", has been sold out, I've received requests for more. 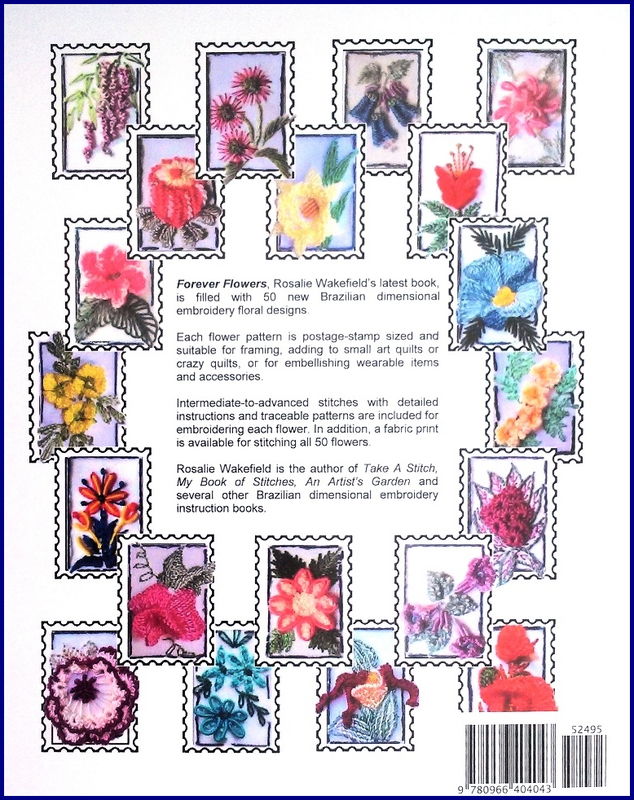 So I have designed another, all-new stamp collection of 50 flowers. I named it "Forever Flowers" (Millefiori #8015). 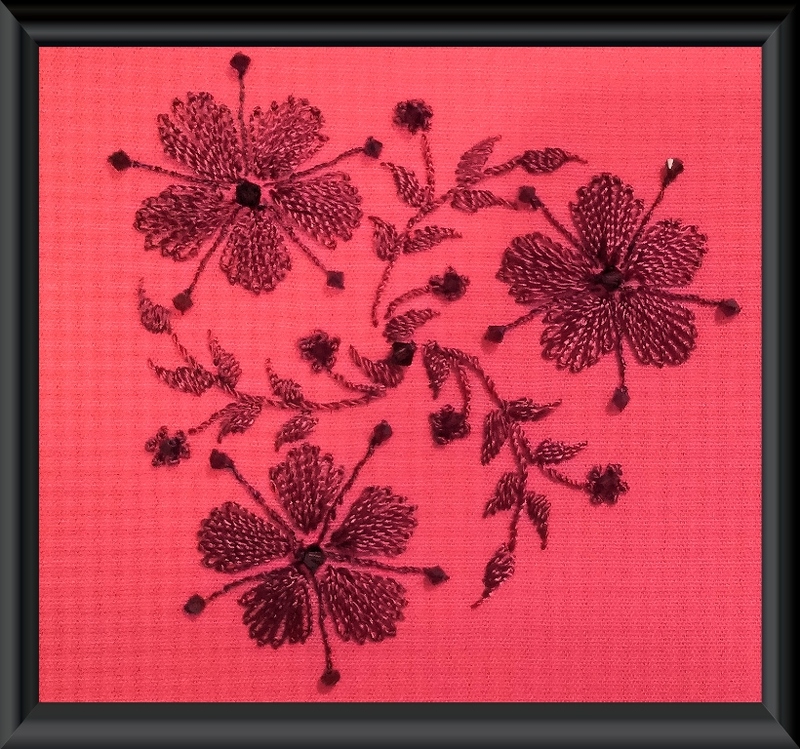 Stamp designs from the book (each 1.5" x 1") may be traced onto other fabrics separately, or the stitcher may purchase a fabric print (#8016 "Forever Flowers Print") on black, cream or white fabric. Fabric print(s) are $8.00 each. The book with print(s) will be shipped by USPS priority mail ($6.65 additional). Please order directly from me (email: RWRW@comcast.net - or the website contact address). Check or PayPal are accepted. 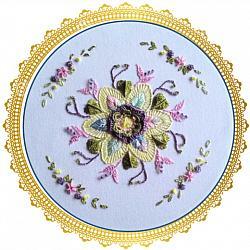 Canadian and overseas postage rates are higher - please contact me for the amount due.